According to the comments In the latest captains log, Jax said that NA PVE will go live at the same time as the Easter Event. Which should be late tonight or early Saturday morning. It seems from the comments in the latest patch notes that Jax confirmed after NA Empire PVP comes down and the Easter Event starts NA PVE will go live at the same time. Sunday is a holiday. I probably shouldn’t assume that they won’t go live on a holiday. But I did. Later this week? It’s Thursday. Later this week is in the next two days. While I don’t disagree with any of that, it misses the point. Ask the OP WHY they claimed an island in the first place? The answer will probably be something along the lines of they wanted to be self reliant, wanted to be master of their own fate, wanted to have the ‘best thing’ in the game (winning so to speak). People can’t claim an island cannot have those things... they are forced to settle for less. People who play games don’t want to settle for less... there’s enough of that in real life. Attention Devs!!!! THIS!!! Here we have a company who’s claimed an island and is ADVERTISING for other players to come there. Why? Because almost NOBODY WANTS TO SET UP ON SOMEONE ELSES LAND! Your “new” claim system offers absolutely no reason at all settle on claimed territory. The only benefit is to the owner in PVE!!!!! Nice ad by the way. Except every island has resources. There is actually zero reason to move off lawless. For solo players and small companies the new mega update fixed absolutely nothing as far as being able to get your own land. While a whole lot of people (who have claims) say they want you come live on their island and they will be amazing landlords (and I’m sure some of them are) the game actually has no benefit for you to do so. You can get griefed and spammed on a owned island just as much as in lawless. The only difference is who you complain to: a landlord player or the Devs. A landlord player might be faster to respond (if they actually do at all) but can’t do anything to the other player but delete his stuff (within 24 hrs). A Dev can do more (assuming that they actually do anything at all). As a solo player, it’s totally not worth the cost of trying to own even the smallest of islands. Almost all of my game time would be involved in keeping it. Even something as small as The Shinning Isles in K7 (which would barely support 1 player) costs 244 gold per day. I have been burned by other players in the past and don’t personally know anyone who owns an island ATM. I don’t see any reason to trust another company or benefit to setting up on someone else island. True, after 24 hours they cannot delete my stuff, but can still, at anytime prevent me building more. So I’m setting up in Lawless. There isn’t any reason not to. At the moment there is no NA PVE server. Thus no one has any land. What would the PVE player base prefer to see? NA PVE an Empire Server possibly? Any chance NA PVE will have the old style claim flag system? Maybe make it possible for solo players to actually own land? I was told there would be a hat? How you will do 1 flag per island system? No PVE is not PVP. The solution was to NOT PUT CLAIMS IN PVE. I’m not saying this was a good solution, simply that it’s what was being planned when the new claim system for PVP was being developed. When the PVE community complained (loudly), we got the PVP designed claim system. Again, not saying this is a good thing. But if you follow the progression it’s not unreasonable to see WHY. What is unreasonable is to expect two different systems between PVP and PVE. They are not going to do that. For the moment, meaning following the wipe, this is what we’re going to get. I fully expect that it will change over time. It’s a system that wasn’t designed to work for PVE so they’ll have to make changes... but don’t expect changes that don’t also work for PVP (except things like the raid times that can be disabled on one or the other). As far as the tax bank goes, it will be staying for the time being... you cannot claim an island without first placing one in the current planned system. We asked for a fix to everything being claimed and having no where to build except lawless. That, on PVE became everything will be lawless. Enough people complained, no no no , we must have claims. So we got the claim system designed for PVP. Now A way has to be found to make it work in PvE where it wasn’t supposed to be in the first place. The way to make that work on PvE is to somehow FORCE the claim owners to actually manage their claims and NEED players to help them. Bad owners won’t have players willing to help and won’t be able to pay the upkeep and thus won’t be able to keep their claim. Or so goes the theory. I honestly don’t think it’s going to work. And there’s enough players who refuse to live under a landlord that nothing is actually going to be solved. But face facts. Single claim flags are gone. If, at some point they have to bring them back, it will require another server wipe. 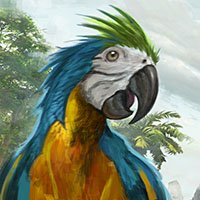 The trick on PVE is going to be setting island upkeep high enough that medium sized companies will need help to pay upkeep on their first island and set the multiplier high enough that even the largest companies need help on their 2nd claim. 3rd claim should be cost prohibitive for everyone.